1 Visit the sales page. CLICK here. 3 Automatically LAND on the download page. If you still have problems, please let us know, by sending an email to admin@pianotuninghowto.com . Thank you! 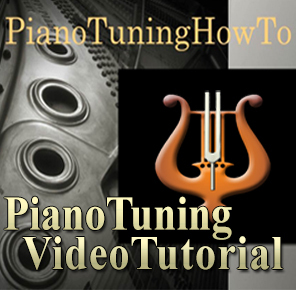 Ask me any PIANO TUNING related question. I will respond within 24h! 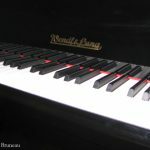 When To Tune Your Piano? 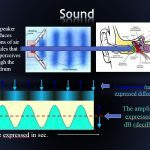 How does piano tuning and listening to the beats formed by sound waves work? 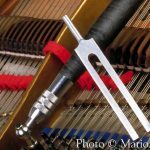 How can I tell a good piano tuner from a bad one? How often do you tune your piano? Would knowing how to play the piano help much in learning piano tuning? Invented in 1726 by the Italian Bartolomeo Cristofori, the piano was the first keyboard instrument to play soft and loud hense his name “pianoforte” (piano = soft, forte = loud) It was at first a rather delicate instrument and went through numerous improvement and became the rich and powerful instrument of today. 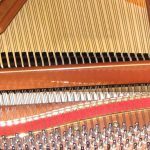 Its complex construction, the science involved in its design and the delicate balance between the elements that contribute to its sonority are among the facts that intimidate the pianists. Both respected by them, he remains the lesser-known instrument of his performers, hence the many myths surrounding its construction. 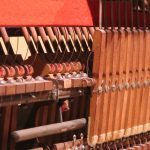 It is well known that a piano must be tuned at least once a year but the time effect on the tuning demand more explanations, simplified here for this article. 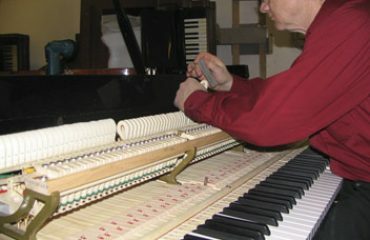 The sound source of the piano is the metal string and since the string doesn’t move enough air molecules to produce a loud enough sound to be perceived by human ears, it needs a vibrating surface to amplify its sound. So the vibration of the string is transmitted to a one centimeter thick spruce soundboard via a four centimeters maple bridge. 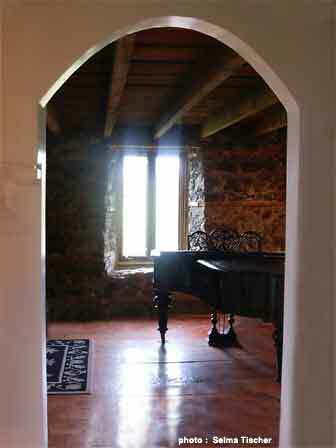 With a total surface of almost two square meters, the soundboard is the piano’s speaker. Each string is pulled to a 175 pounds of tension and with a total of 235 strings, the tension gets to as much as 20 tons. Cristofori’s piano would simply have folded into itself. It is the cast iron plate that support all this tension and it is this very tension that is being altered by the time. In order to play in unison, all instruments are tuned to a standard. 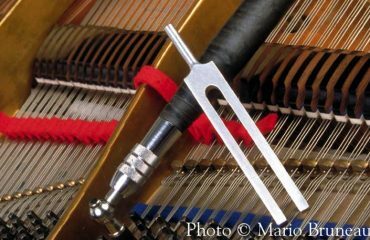 This standard pitch is A440Hz (Hz = Hertz, vibration per seconds). 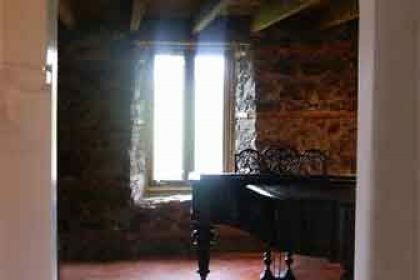 The ideal percentage of humidity to keep a piano to pitch is between 35% and 60% but our houses need to be heated during the cold winter and this is what dries the air inside our houses. 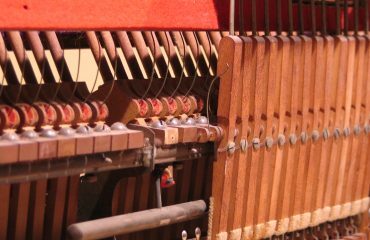 When losing its humidity, wood retracts so the 5 centimeters total thickness of the bridge and the soundboard shrinks in volume thus releasing the string tension. The piano’s pitch goes down. On the opposite, the 90% to 100% humidity encountered during the summer will expand the thickness of the bridge and soundboard so the string tension is raised. The piano’s pitch goes up. Here is a very good video from Mr. Eben Goresko about the effect of moisture on wood. Because it lose more tension during the winter than it gain tension during the summer, the piano needs to be tuned each years. 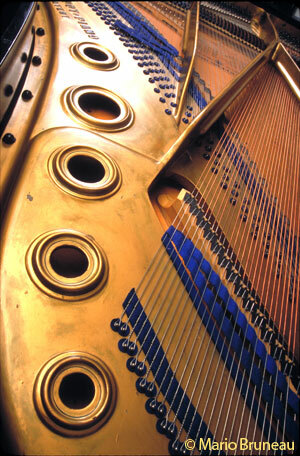 After two years without tuning, a piano will most likely need two tunings to bring it back to standard pitgh (A-440Hz). Contrary to popular belief, a piano that is as low as a semitone can be put back to pitch with only two tunings and the famous 24 hours delay between the two tunings is unnecessary. We must then consider the 20 tons of tension and understand that the firsts strings which tension was increased will become looser as we increase the tension of the other strings, since each string acts as a clamp. To compensate this clamp effect, the first tuning will be higher than the target pitch of A=440. We will start with the basses at 442Hz and the middle region will get a 443Hz tuning and gradually progressing the highest strings that will be tuned to 445Hz and higher. After this first tuning, guest what? The piano will be at 440Hz throughout its entire length but wont be perfectly tuned yet. Only with the second tuning executed the regular way, that one can achieve perfection because the 20 tons of tension wont be altered that much anymore. Your piano is available rain or shine and even during a power outage. If it is well taking care of, it will always produce nice music. Take the time to enjoy it.